Neha is a 9-year-old girl much like any other. She dreams of becoming a doctor, loves to dance, and wanted to be Cinderella for a day. The only thing is that she has dengue, or so she thinks. In reality, she has an acute form of leukemia. What began as a complaint of back pain became chronic, accompanied by a fever that would never abate. A medical examination revealed cancer. Noori, Neha’s mother, fainted at the news, refusing to accept that the results were her baby girl’s. The family rushed to CMC Vellore where they were promised the best care, and chemotherapy began. 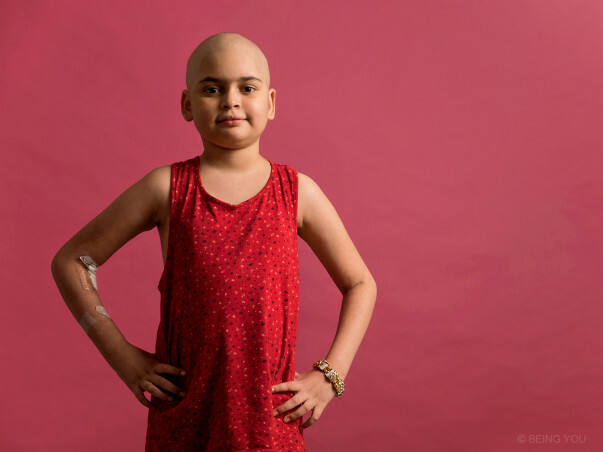 As Neha began losing her hair, her twin sister Nikita stood by her like a rock, and offered to shave her own head as well to give her company. The two are joined at the hip almost and when one is sick, both do not go to school. Now, they are both waiting for Neha to feel better. Doctors told Noori and Anil that a bone marrow transplant is the only way to save their daughter. The family did not have the financial resources to make them come true and decided to explore other options. They turned to Ayurveda. A few months later, Neha’s blood work was a disaster – her platelets had dropped to an all-time low. 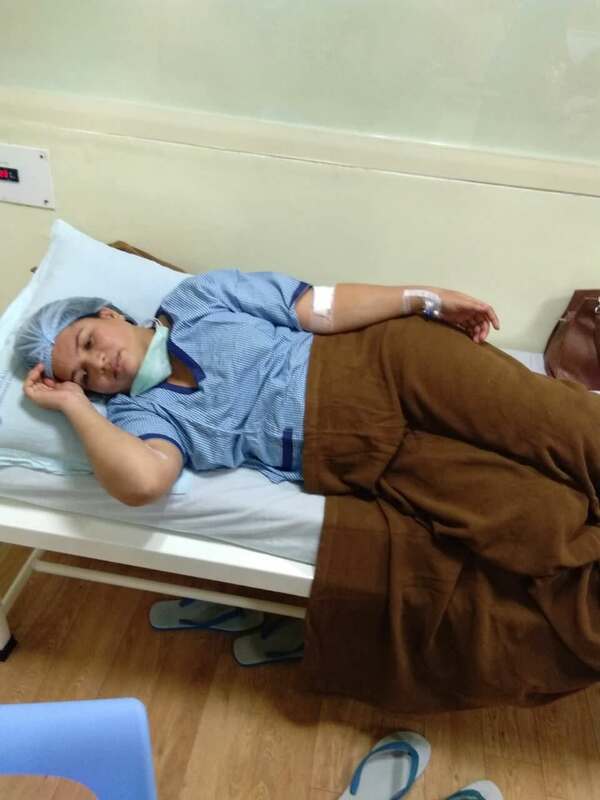 She was admitted to Baptist Hospital, Bangalore in critical condition. Today, Neha continues to fight the cancer. Her transplant has been scheduled for November but the family is nowhere near the end of the line. They are looking for a marrow donor as well as people to help them bear the cost of the operation. It is the only way to save their daughter, a girl who used to be gregariously dancing on stage and today, is caught between a cloud of wires. The operation costs Rs. 35 lakhs. BeingYou has pledged to raise Rs. 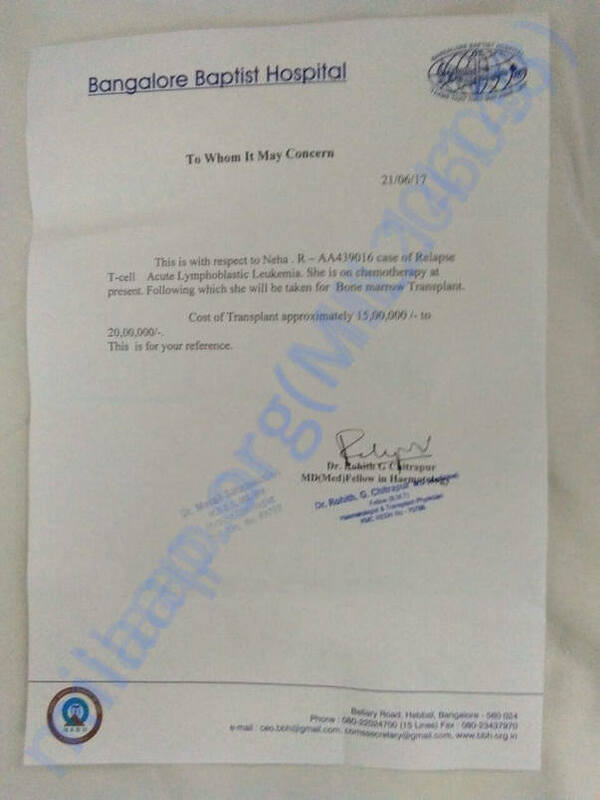 5 lakhs. 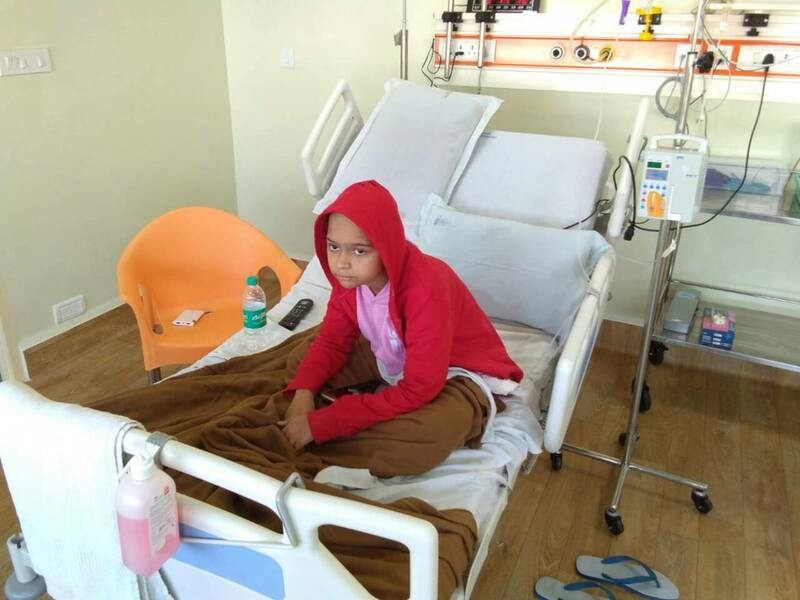 Do your bit to help save Neha, a nine-year-old like any other fighting what she thinks is a simple case of dengue. Thank you for the wonderful love and support that you have shown towards my daughter Neha. I have some news to share with you today. Neha was undergoing treatment for cancer and was recovering well from it. Cancer relapsed and upon discussion, with the doctor, her treatment was started again. She complained of breathlessness and we took her to the hospital. The doctors said that she suffered a cardiac arrest and she could not be revived. She fought very hard and tried very hard but in spite of the best efforts from the doctors, she could not make it. Your timely support ensured that she received the best treatment possible. All the funds raised via this campaign have been utilised towards her treatment. Thank you once again. Would request you to please pray for her soul to rest in peace. Thank you for the wonderful love and support that you have shown towards Neha. She successfully underwent the BMT on 3rd December 2017. Her mother was the donors and she is also doing well. She was under observation for a month in the hospital after undergoing the transplant procedure and then she got discharged as she recovered very quickly. She has had minor complications like fever and other infections but the doctors suggest us that it is nothing to worry about and is completely normal. She developed pneumonia recently and is undergoing treatment for the same. The doctors have advised us of regular follow-ups to monitor her health. The doctors have advised her to take injections on a regular basis and based on her health and recovery they will be changing the dosage of the medication and they will be following this for about a year. I would like to thank all of you once again for the wonderful support that you have shown towards Neha. Please do pray for her health and speedy recovery. Will keep you posted. Thank you all once again!! Please do pray for Neha's health and speedy recovery.